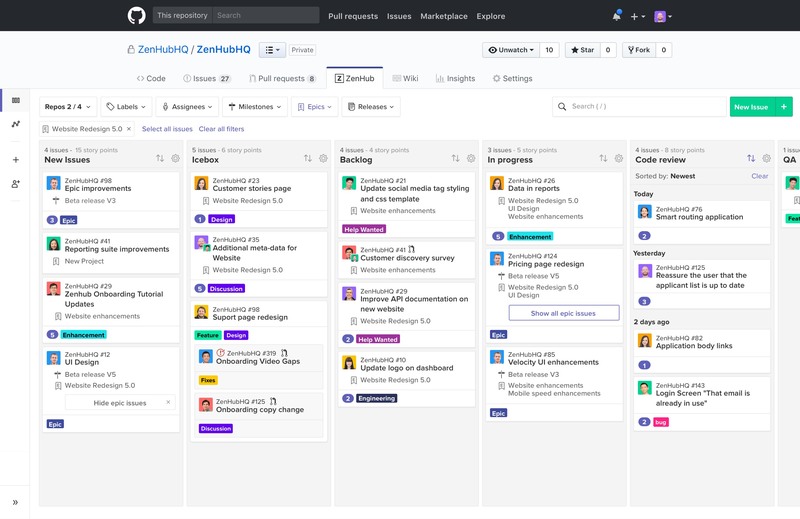 ZenHub integrates natively within GitHub's user interface. No lengthy onboarding. No configuration headaches. No separate logins. Have questions or need a hand getting started? Don't hesitate to tweet or email us directly.